Well, this is it I guess. 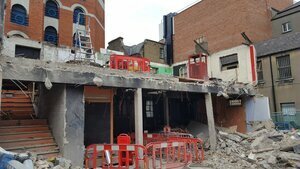 It’s a sad, sad day for Dublin. 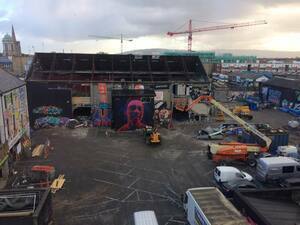 First we lost the beloved @HangarDublin, now we see @District8Dublin demolished. 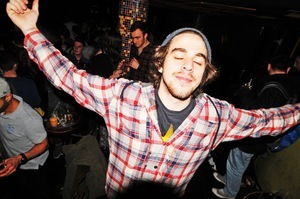 Posted in Misc and tagged venues, Yokes at 11:38 am on March 8, 2019 by Bodger. An Irish tourist found with 10 MDMA capsules at a Parramatta music festival on Sunday has escaped conviction after he argued the party drug is “not strong enough” in Australia and all of the pills were for his personal use. David Crean, 32, was arrested at the Ultra Music festival and charged with supplying a prohibited drug after a sniffer dog sat down next to him when he entered Parramatta Park at about 1.45pm. According to police facts, Mr Crean – who is in Australia on a two-week holiday – was “nervous” and “visibly shaking” when he was spoken to by police, and when an officer asked “be honest, do you have any drugs on you?”, he admitted he had drugs in his underwear. Mr Crean told police he “did not intend on selling the capsules and planned on consuming all of them himself as the purity of MDMA in Australia is not strong enough”, the facts state. Posted in Misc and tagged Sarah Murphy, The Irish Abroad, Yokes at 1:02 pm on February 27, 2019 by Bodger. At the (very lovely) Mermaid Theatre, Bray, Co Wicklow? We have a comedy weekender coming up here next weekend and would love to give Broadsheet readers a chance to win weekend passes. 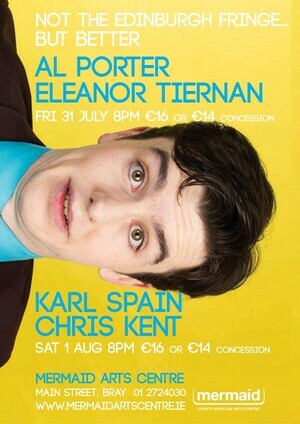 Not the Edinburgh Fringe But Better (we’re so modest) features Al Porter, Karl Spain, Chris Kent and Eleanor Tiernan. We have TWO pairs of Weekend passes up for grabs. 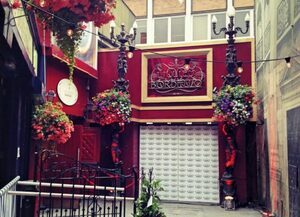 To enter, Just TELL US A JOKE…the loudest Friday Mermaid Theatre LOL wins…. Posted in Misc and tagged Broadsheet competition, jokes, Yokes at 4:10 pm on July 24, 2015 by Broadsheet. Fun-loving ‘revellers’ in The Turk’s Head , Temple Bar, Dublin last night. 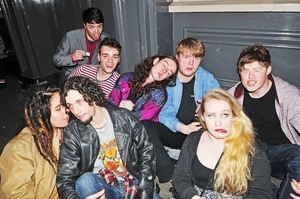 Baby we were born to gurn. When we arrive, the basement is swarming with sweaty, glassy-eyed revellers asking for water. The party has spilled out onto the street, and people I recognise from school and college and Twitter have joined together to share the synthetic joy. Because it’s Dublin, everyone knows each other and is feeling particularly tactile; it’s hard to get up the stairs without being taken down by hugs. The scaldy guys selling pills at the back of the club are even scaldier tonight, smiling through firmly clenched teeth, their eyes half open under bucket hats. 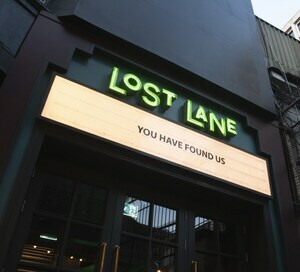 They add to the illusion that we’ve all stumbled into some PLUR-filled, retrograde acid rave universe, a homage to a time we were too young to remember…..
Posted in Misc and tagged drugs, Yokes at 6:11 pm on March 12, 2015 by Broadsheet. 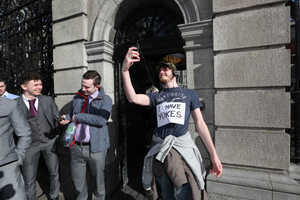 Unidentified hot yoke guy outside Leinster House, Kildare Street, Dublin taking a selfie and advantage of the current drug loophole. Posted in Misc and tagged Hot Yoke Guy, Yokes at 4:27 pm on March 11, 2015 by Broadsheet. Further to Saturday morning’s double yoke post. From the same box (above! of Ballyfree Free Range. I can can confirm all six were doubles. Egg-Gate! 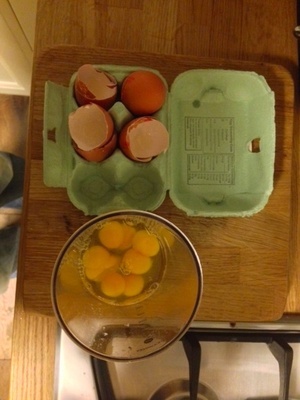 Posted in Misc and tagged eggs, Yokes at 10:24 pm on October 15, 2013 by Broadsheet.